After three months of life in the Rocky Mountains, I journeyed to Boulder to visit my step-mom. 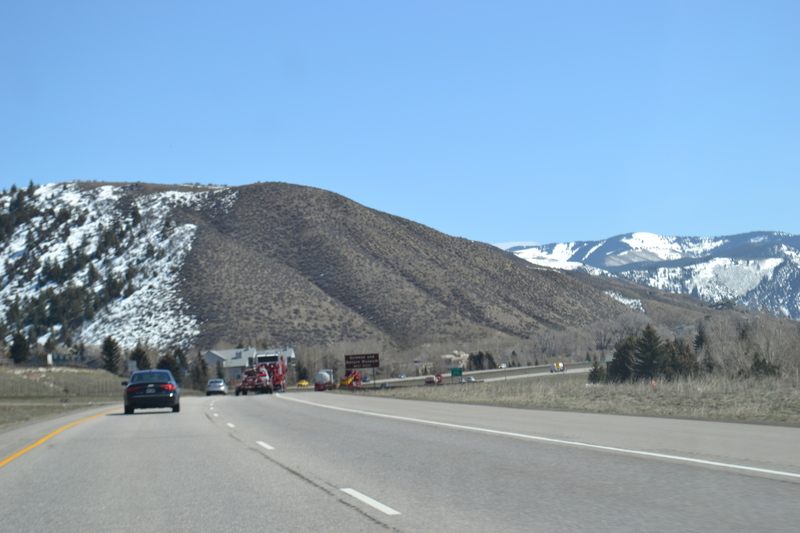 I-70 is a familiar drive for me, and I do it with ease, no matter the weather or the traffic. Some music and the familiar scenery, places I used to call home, along the route make it fun. 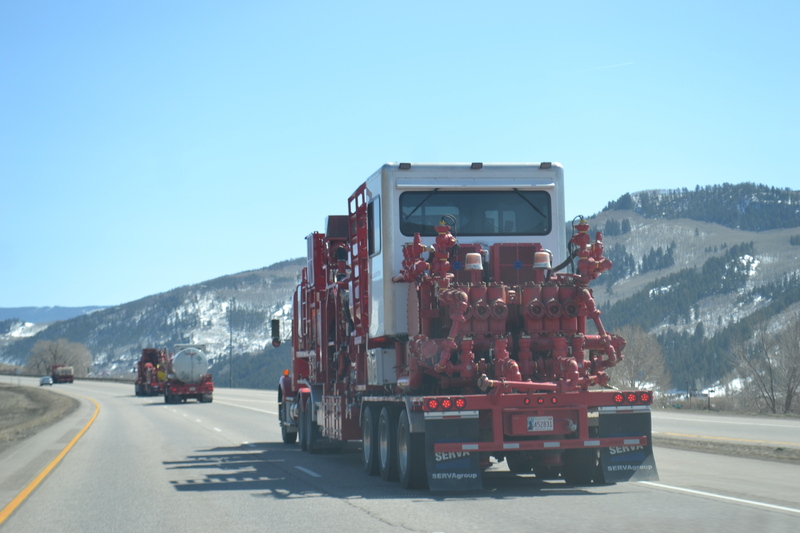 This is the first trip between Carbondale and Boulder, on I-70, that I’ve seen a convoy of Halliburton Fracking trucks. I wonder where they were going. 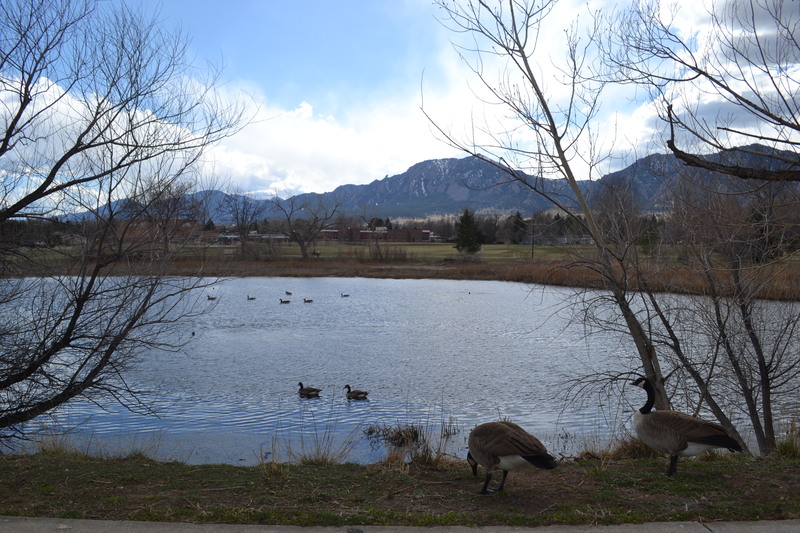 Once I arrived in Boulder I was hit by the warm, spring-like weather. I love taking walks around this lake as much as Max, my step-mom’s dog. Since I last saw it, Thunderbird Lake has lowered considerably. The Canada Geese are still there, as are the Mallards. This is one of my favorite places. The first night I arrived I attended a presentation by the CO School of Mines on the research they conducted to determine how to bring the level of the water in Thunderbird Lake back up to healthy levels. 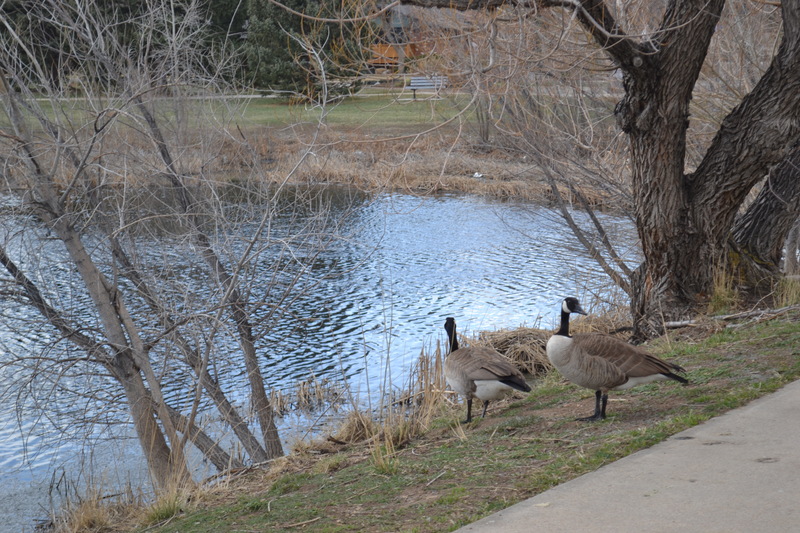 It’s a man-made lake, but the neighborhood loves it as a place to journey out yonder on a walk, enjoying the scenery and the wildlife. As the ice has melted away and the shoreline has become exposed, I saw remnants of the effects of either last fall’s devastating flood, reckless lake-goers or neighbors, or the inevitable impact communities have on the natural world. 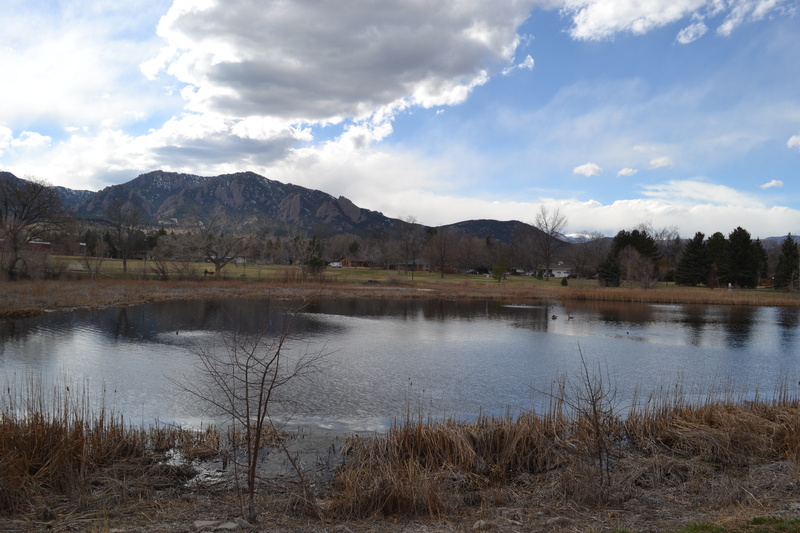 I encouraged the researches to encourage the City of Boulder to take more time to discuss possible solutions to filling the lake with the residents of the neighborhood. Many hands, and minds, lighten the burden. 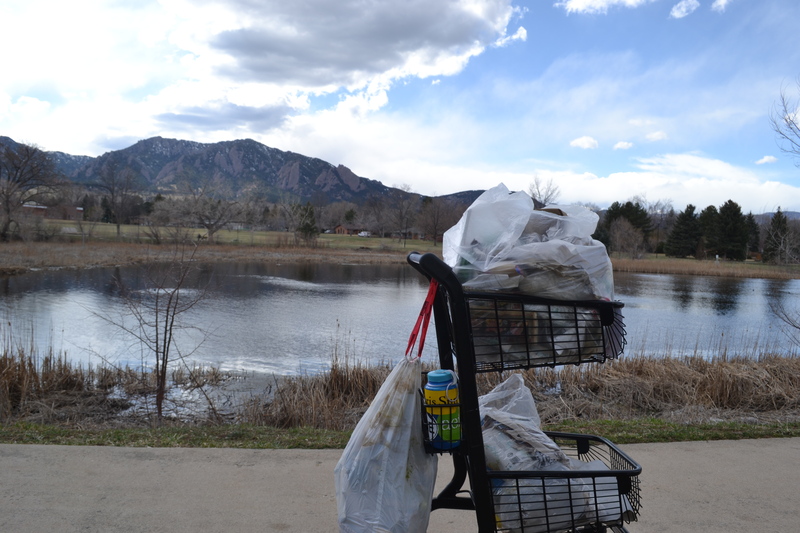 I decided to take a hand in preserving and taking care of Thunderbird Lake, by picking up the exposed trash, before the it was covered by water again. I brought one trash bag, but found two more. As I picked up each piece, I imagined how it ended up here, and how long it was there. 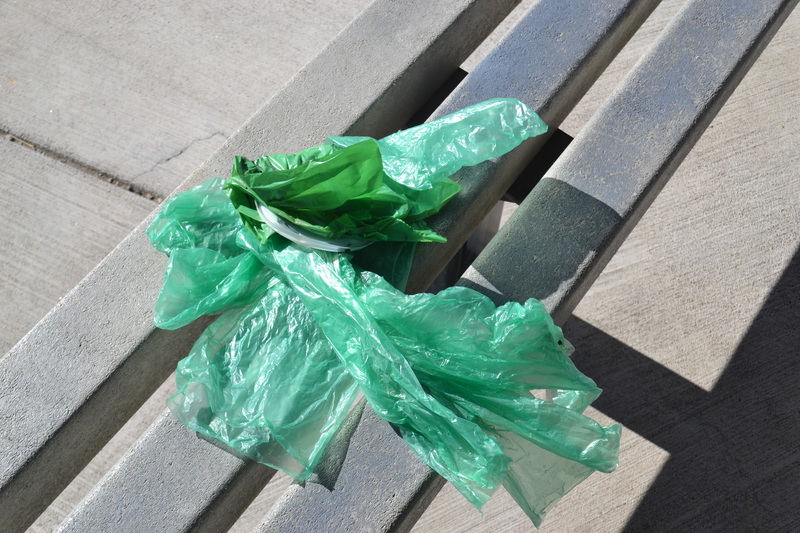 Anytime I pick up someone else’s trash, I imagine how it ended up on the ground, in the water, in a tree or a bush. There’s a school on the SW corner of the park, two or three retirement communities, a church, an athletic center, and a large neighborhood surround it on all sides. 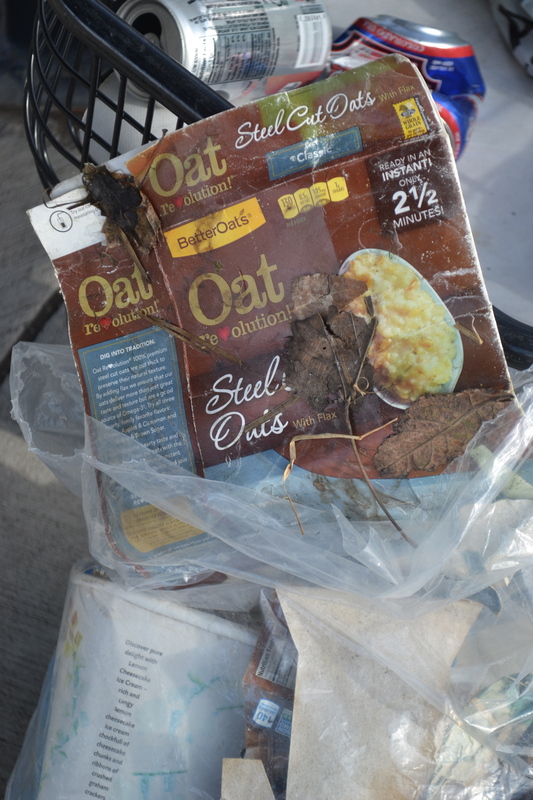 I couldn’t get all the trash, because I didnt’ bring waders or a long stick. Next time I will bring a long stick. 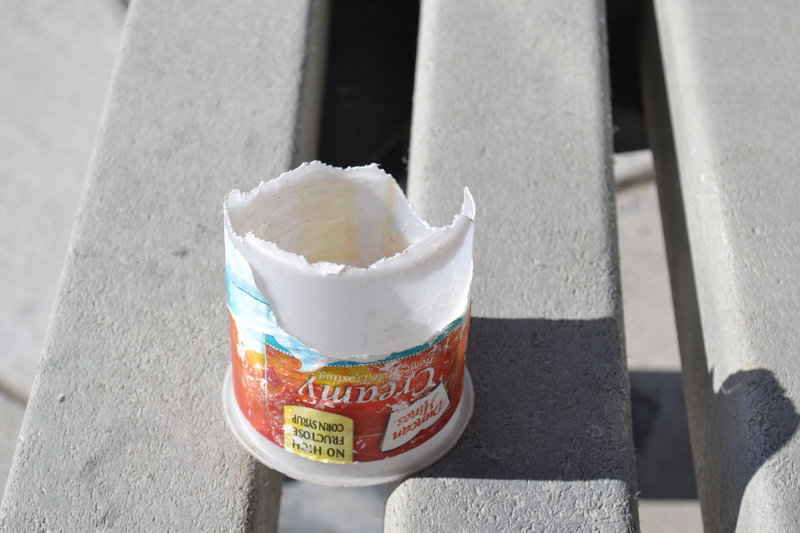 I wonder who’s been nibbling on this plastic container? Not a surprise, whose unopened mail this is for. 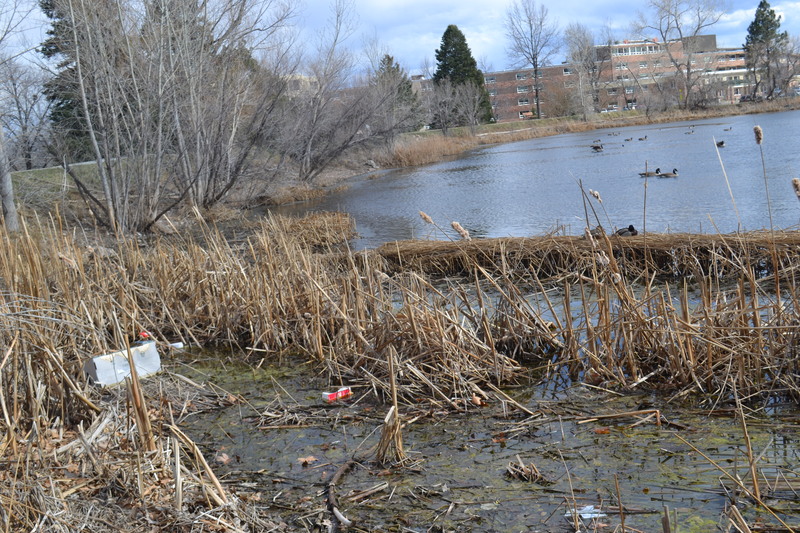 Was one of their trash bags swept into the lake, with their household waste? 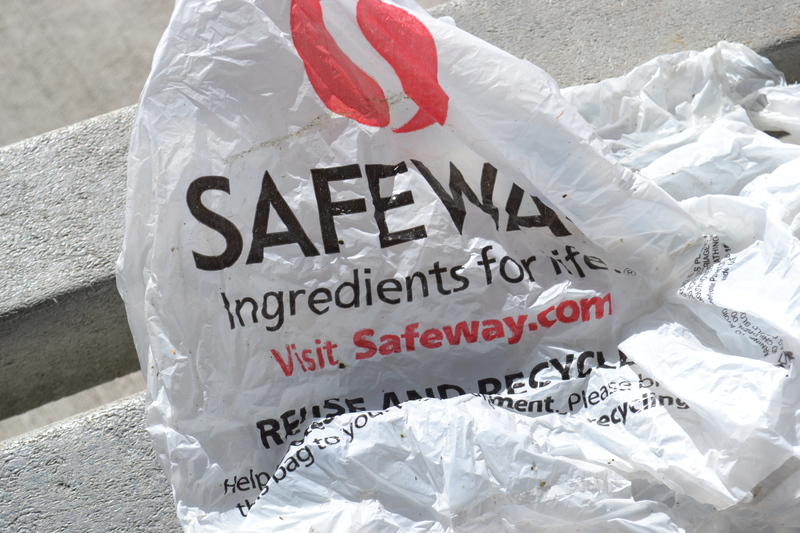 Do we really need to put newspapers in plastic bags? I say, let’s bring back the paper routes, employ our young people to deliver your newspaper on their bikes or on foot, encourage financial responsibility and exercise. 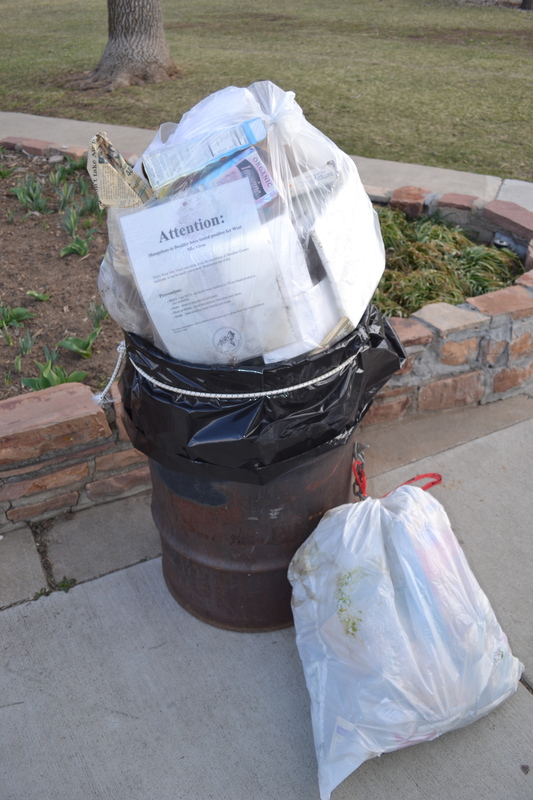 I thought Boulder passed a plastic bag ban? I say, bring your own bag! 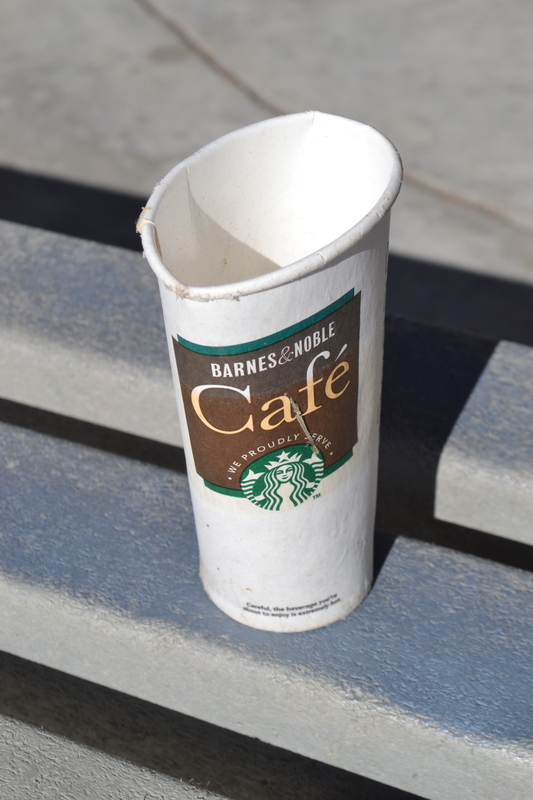 Using a one use, disposable, take-away cup from Starbucks and Barnes & Noble isn’t necessary when you can bring your own mug. 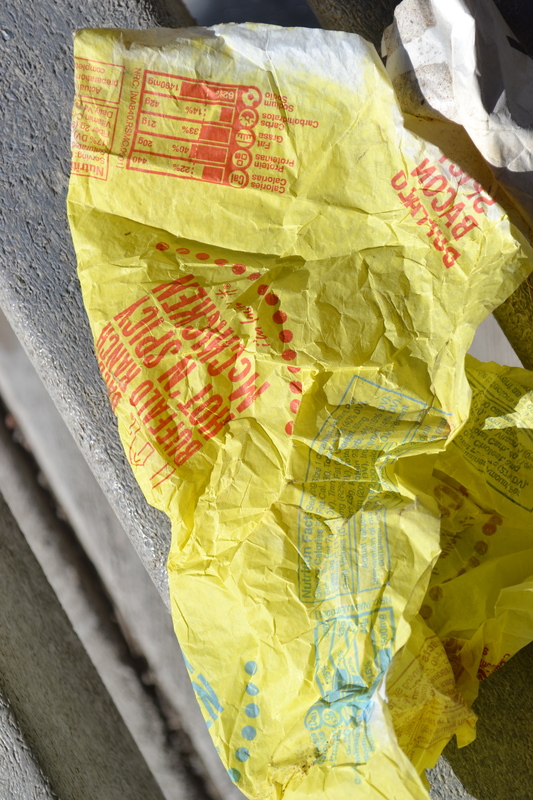 Packaging from McDonald’s wasn’t meant for Thunderbird Lake. I say, bring your own snack in a reusable container. I could go on, and on, but I won’t. You get the message. We can spend hundreds of thousands of dollars conducting research on how to save our natural spaces, in city parks. 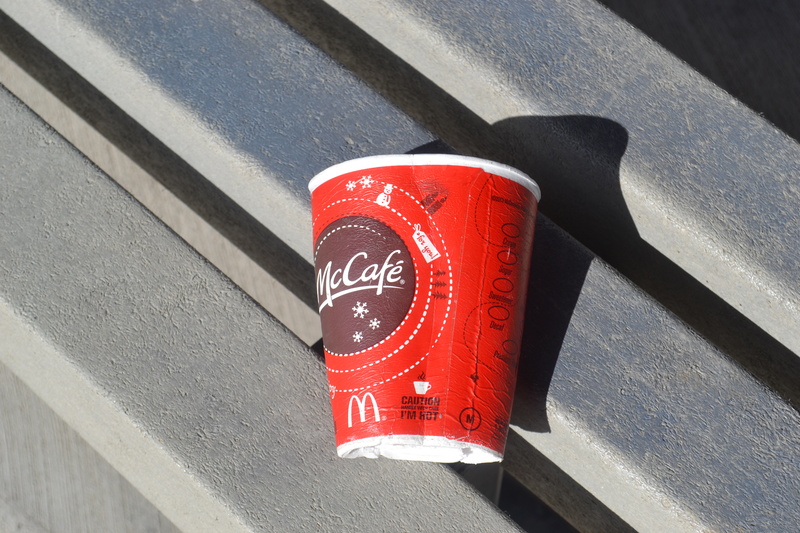 I say, produce less waste by carrying your own coffee mug, packing your own lunch, and disposing of your waste properly. Let’s think about the effects we’re having on our natural world, by making everything easier. 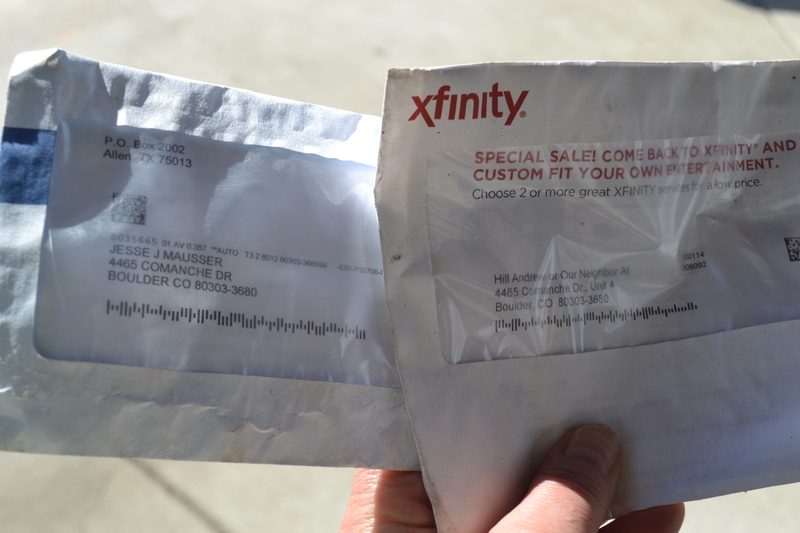 From packing our newspapers in plastic so they can be thrown on the lawn by a delivery driver, to buying Fast Food. Rethink how we do things, and where our waste end up. Make every day a journey, and pick up someone else’s trash, I say! It’ll make everyone’s day. This entry was posted in Plan a Journey Out Yonder and tagged Boulder, Halliburton, I-70, Journey, Thunderbird Lake, trash. Bookmark the permalink.